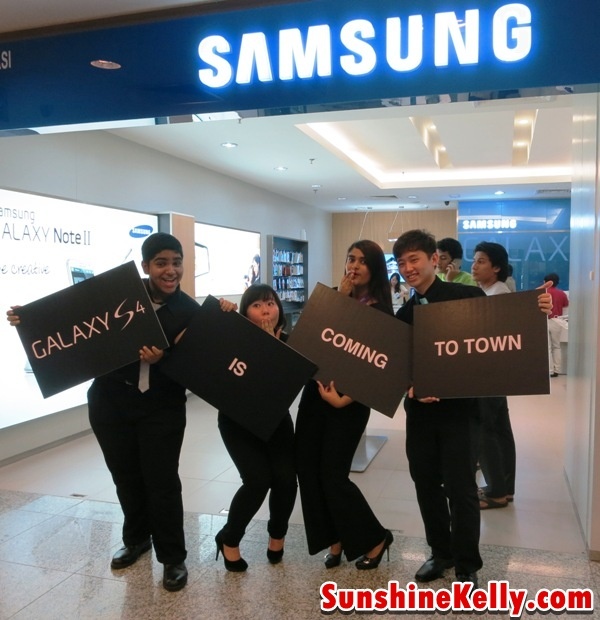 Are you ready for the new GALAXY S4? Pssttt! Heard that the GALAXY S4 will be launched in Malaysia very soon. Be good and stay calm. Now I have mixed feeling, I am thrilled and in mind there is big question should I upgrade my SIII to S4? Awww!!! Can’t wait to see and try out the new GALAXY S4. 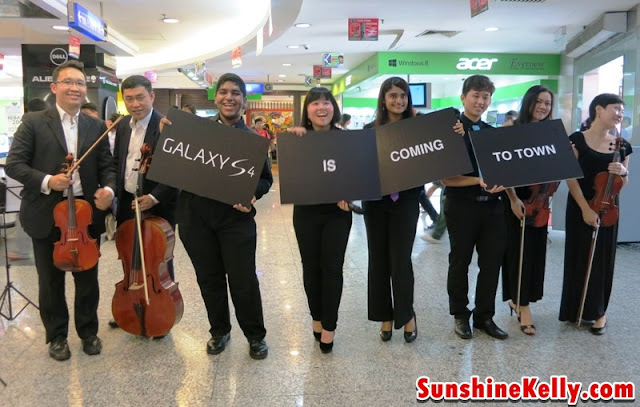 I got to know that the S4 teaser orchestra team will be performing in various location around Klang Valley on Friday 19th April and Saturday 20th April 2013. I managed to catch them at Digital Mall PJ on Friday during my lunch time. S4 it’s a Life Companion. Looks like the upcoming S4 is power packed with lots more features and apps that enriched and enhanced our life experiences at the same time giving the utlmost convenience to perform our tasks. Making life more fun and realtionships get closer. I am really curious how this S4 can care for me and my well being too. Show me how? Can’t wait for the launch. Should I ugrade?